We welcome and value the assistance of volunteers and student placements in our stockroom, at openings and events. By generously giving their passion, time and expertise, volunteers help us and our artists to continue the important work we do. The gallery is currently seeking volunteers to assist us at our exhibition openings, which are held in High St, Northcote every 5 weeks and run from 3-5pm. There are also other occasional evening events that we ask volunteers to assist with from time-to-time. 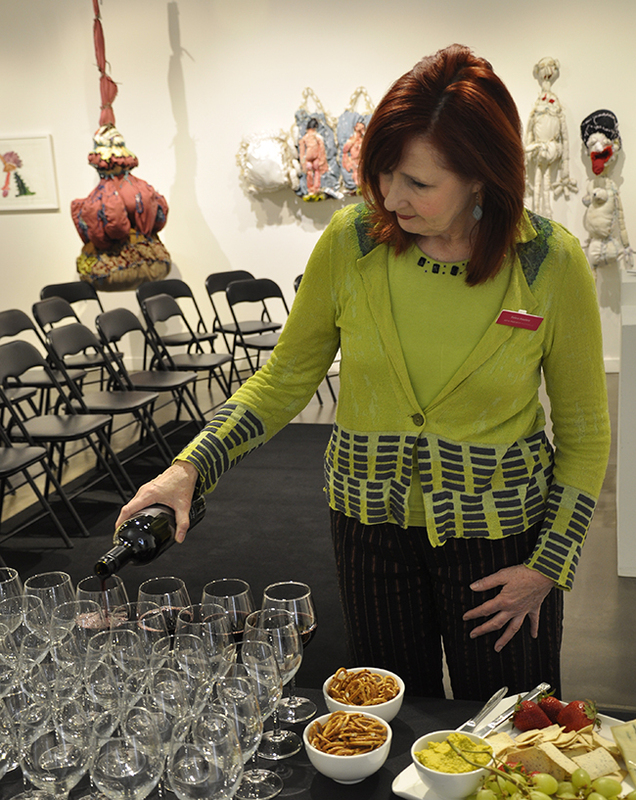 GALLERY VOLUNTEER DEBRA HOWLETT ASSISTING US AT A BOOK LAUNCH IN 2016. Being a volunteer at Arts Project Australia offers a rewarding opportunity to learn more about what we and our artists do, see a large and diverse collection of artwork and meet new friends. I take pride in the small, contributive role I play at Arts Project Australia. I have the greatest admiration for the staff, the artists & the organisation itself. It’s the one time of the week I look forward to the most. I wish that the general community knew more about the organisation and was more involved in it. Enquire now about becoming a volunteer or student placement.